– source quoted as Gartner. Content & product recommendation systems are important, but they don’t go deep enough when it comes to solving CRM problems. To minimize your customer churn rate, you have to dig much deeper into this problem. Recommending the right products to your customers is not nearly enough today to reduce churn rate. A tremendous amount of raw data is stored in corporate databases already and it is increasing daily. Yet, this raw data by itself does not provide any meaningful information. The Gartner survey shows that more than 50% of the businesses have no idea how to get any real value out of their data. How can we get any valuable strategic insights from our raw data? It’s not realistic to expect an organization to make sense out of terabytes unstructured data. First, you have to collect, process, analyze and visualize your raw data. Only then, will you be able to turn data into valuable information. That being said, the Data Cleansing and Data Mining process is usually not for the faint-hearted. But, it has to be done; otherwise you cannot apply any Machine Learning models to your data. When data is analyzed and understood, it can help you increase your sales, develop better marketing strategies, and offer personalized and immediate services that your customers want. With artificial intelligence, you can turn your pre-processed data into a steadier insight stream you require to fulfill your many expectations. Machine Learning evolved from the computational learning theory in Artificial Intelligence. ML algorithms use statistical methods to make predictions. 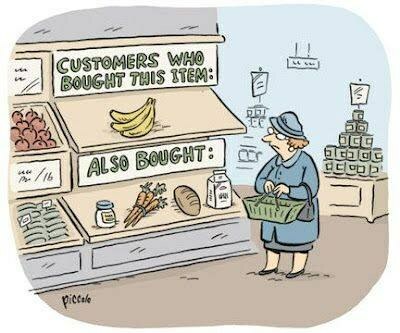 In business use, this is often referred to as predictive analytics. Deep Learning is a branch of Machine Learning. DL algorithms, Artificial Neural Networks (ANN), are inspired by neuroscience’s interpretation of the information processing patterns in our central nervous system. There are many examples of (ML) and (DL) application. Deep Learning technologies are used in cancer diagnosis, streamlining product development; spam filtering, fraud detection, image recognition, natural language processing, improving cyber security, development of robots for manufacturing operations and self-driving cars. The applications for Artificial Intelligence are endless. Our imagination sets the limit for what we can do. There are plenty of ways you can use Artificial Intelligence to add value to your enterprise. Tengerdata is developing and deploying highly effective Machine Learning and Deep Learning models to solve a variety of different CRM problems. One of the major CRM problems is churn prediction. As mentioned earlier, sources say that it costs at least 5 times more to acquire a new customer than it does to keep an existing one. We can integrate and use Deep Learning algorithms to predict which customers are most likely to churn. Our DL solutions will provide you the insights to make optimal decisions when interacting with your customers and initiate preemptive actions to minimize churn. Another major challenge is to predict the life time value for a customer. This is a common problem in companies with high customer acquisition costs. The good news is that almost all key decisions can be supported by an integrated AI system. But, what is artificial intelligence system integration and how can we use it to take the engagement of our customers to another level? For better understanding, think of artificial intelligence system integration as a software application. Deploying the application is more cost effective, faster and more accurate, which is contrary to what you would expect when doing the tasks manually. The result is better business prospects and more customer satisfaction. To achieve high-growth, most companies should care about upselling products and services to existing customers. As mentioned earlier in this article, according to Gartner, 65% of a company’s business comes from existing customers. Thus, preventing churn should be the number one priority for any CRM strategy. NLP can translate spoken languages to text or any other form for use as input to other systems. We can also do the reverse – translating the output of other systems to a spoken voice. NLP will also translate from one language to the other, or simply detect the language. Image caption generators will construct natural language outputs (captions) from images. NLG will automatically describe the content of an image, mapping the meaning to English sentences. The algorithms can detect particular patterns (such as opportunities or threats) and initiate processes or actions accordingly. Scan unstructured data and look for common entities. Scaling image and video analytics, using rules-based decision engines. …to mention only a few of the potential AI integrated CRM services.